I don’t usually do pictorial foodie posts, and when you see my photos you will understand why. But I’m so pleased with my latest snackie I couldn’t resist sharing. 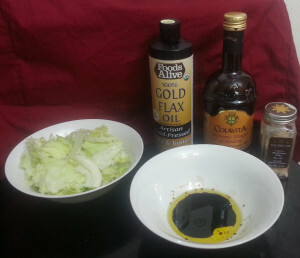 Inspired by the bread and oil/vinegar dips I’ve seen in restaurants, I came up with a variation that eliminates the wasteful carbs and adds health benefits, while (I think) improving on the taste. I don’t know anything about it, but it has a pretty bottle and a deep, dark taste. 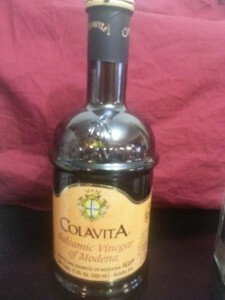 The one I linked to from Amazon doesn’t have the pretty bottle, but it’s the lowest price I found there. I didn’t use any old oil, either. I used flax oil, and the best I could find. I read the reviews of different brands and chose the one that sounded like it would taste the best. The reviews were right; it’s kind of buttery, kind of nutty, and altogether delicious. Flax oil has nutritional benefits like omega 3 fatty acids, which are good for brain development and for reducing inflammation. For someone with Sjogren’s Syndrome, anti-inflammatory is good. 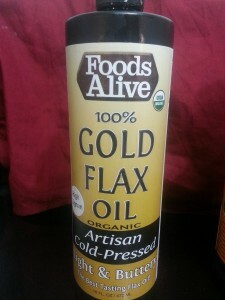 Flax oil is also very good for anyone with dry eyes. 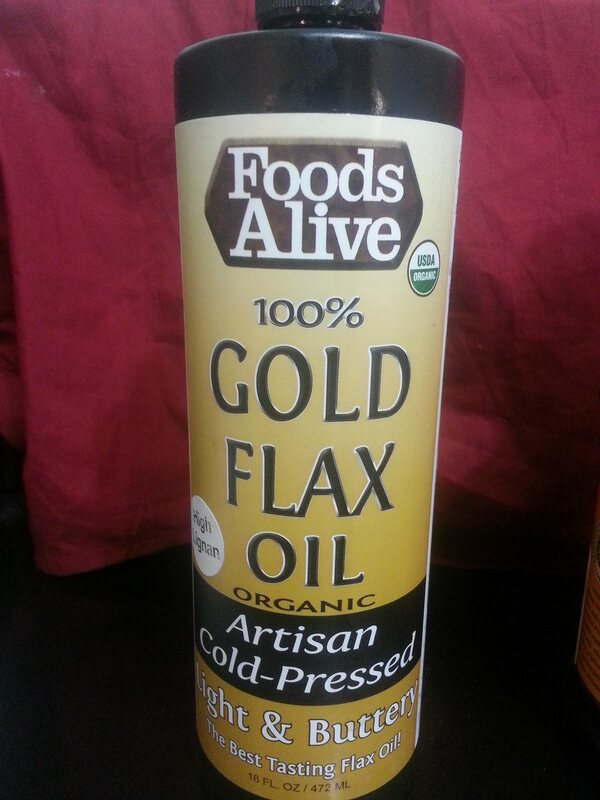 Many people take flax oil every day for its benefits, but this tastes so much better than a pill or a spoonful of oil! 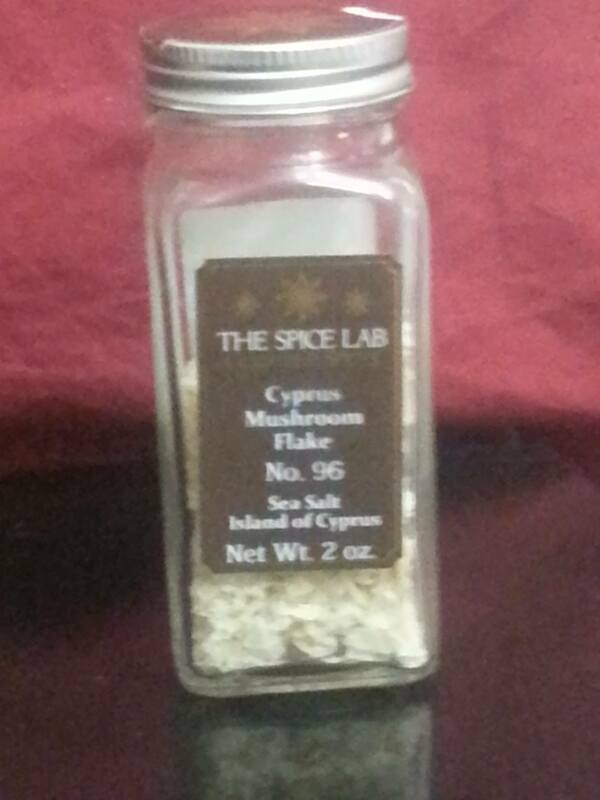 The next extra special ingredient, and I cannot stress this enough, is Cyprus Mushroom Flake salt. Oh. My. Goodness. This salt is amazing. 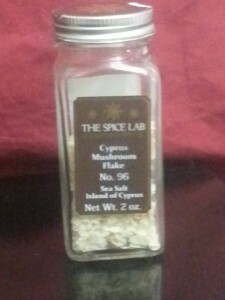 It isn’t terribly expensive, but you will be shocked that salt can be this good. I’ve begun trying (and loving) finishing salts lately, but this and Smoked Cyprus Flake are by far my favorites so far. The flake salt adds a delectable crunch that bursts in your mouth without being overly saline, because the saltiness is spread over a very thin flake. And these two salts are both very rich. I don’t know how else to describe it. Finally, there is the lettuce. Plain old iceberg lettuce, because for some strange reason I love the stuff. If you don’t, feel free to substitute with other kinds of lettuce, or even with other greens completely (I bet fresh mustard greens would be delicious). But I like the crunch of iceberg. Once you have the ingredients, the rest is super easy. Tear up your lettuce into dipping-sized bites, and sprinkle finishing salt over it. In a separate dish, pour a small amount of balsamic vinegar and flax oil, and then dip and eat. It tastes like a treat, but it’s good for you and even low-calorie.